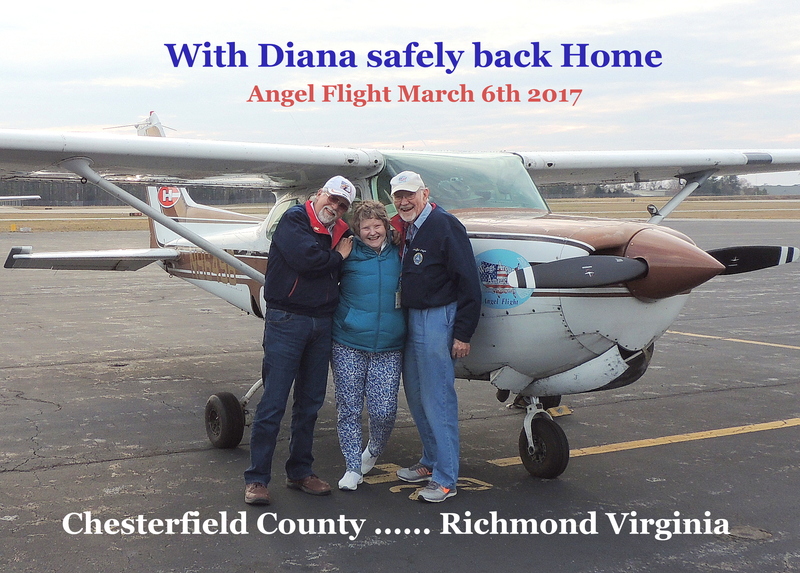 Our Angel Flight Missions today took us down to Richmond Virginia then up to Fort Meade Maryland where our passenger Diana had her doctors appointment. We stayed at Fort Meade until Diana returned and then we loaded up and returned Diana back home to Richmond. Once we said our goodbyes and exchanged big hugs we departed Richmond and headed back home. The weather today was uneventful (except for some light rain and lower visibility landing back at Home Base Luray) The ride was very smooth and Diana enjoyed all of the views, especially over all the water we flew over. Todays flight completed 2 Angel Flight Missions. Total flight time for today was 4.1 hours covering 460 miles. Thanks for your interest in our flights and we hope you enjoy the following pictures of todays flight. We also have a Facebook page we would love to have you follow…. Click here “Wings Around America BWC” and give it a visit, once there you can click (FOLLOW) …… Thanks again and have a Great Day ! Pre-heating our engine ……. this makes 49 Bravo Cozy and Happy ! Backseat ready for Diana…… last week she celebrated her Birthday ! Once again in his Happy Place ! Flying by Doug’s Farm in Page Co Va….. Doug is our wonderful Mechanic ! While waiting for Diana…. we enjoyed some Jet Fuel ! We have a very Happy Passenger ! ….. Diana with her wonderful smile !